Given that we have an emergency stopgap for warming, we have to care only about a finite time of adjustment to the new conditions. 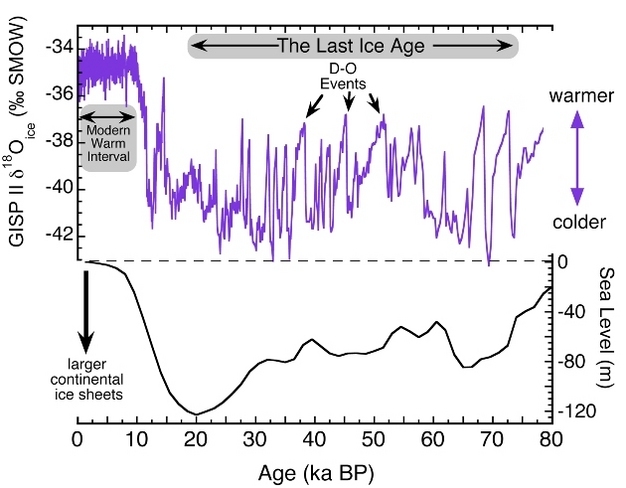 Given that the actual temperature is not optimal, but below the optimum, it is far to early to apply it, thus, if there is global warming, we will have to adapt to some new, higher temperature. The costs of such an adaptation depend on the speed of the climate change. If the speed is sufficiently slow, there will be no such costs. People can do what they would like to do. Whenever they build something new, they would do this in a way optimal for the actual situation, and the situation will be similar to that situation long enough to justify the investment. If the speed is slightly higher, and it will be common knowledge that there will be a given increase in temperature and precipitation during the next years, people can easily adapt their investment decision to take these expectations into account. All what has to be modified is the planning of what will be done. Nothing has yet to be destroyed or becomes unusable. So, beyond the costs of modified planning, there will be no adaptation costs. In the long run, some people have to migrate from regions which become too hot toward regions which are no loger too cold. But this also becomes a problem only if the speed of the climate change is too large. Else, the migration which happens for a lot of other reasons anyway will remain larger than what would be necessary because of the climate change. Given that those who migrate for other reasons will take the actual climate into account in their choice of a new place to live, the adaption to the new climate would happen automatically. Thus, the whole problem of adaptation appears only if the speed of climate change is too high. And it should be noted that "too high" is very specific: What means "too high" depends on the particular things which have to be done to adjust to the new circumstances. And so we have to consider them in some more detail. Faster than usual climate change? Part of the climate hysteria is that it will be very fast, and part of the arguments in favor of this claim is that it would be faster than usual climate changes. But this is certainly not what matters. All what matters is if the speed is so high that it requires additional human activities to adapt to the change of temperature. If the change is slow enough, nothing additional is necessary, usual investments into the infrastructure which will be made anyway, the adaption of agriculture to changing market conditions, and natural migration would be sufficient for adaptation. Thus, the interesting time scales are all connected with human activities. This may be relevant, but only in part. If the climate changes very fast, we have much less time to adapt, and the adaptation will be much more expensive. So, indeed, we have to care about the temp of climate change. 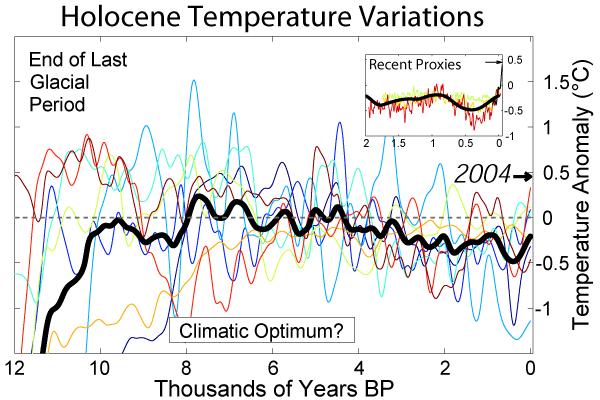 But one comparison, which seems quite reasonable at a first look, appears to be completely irrelevant: It is the comparison with the typical speed of climate changes. A climate change would be yet faster than usual climate changes if it would last some thousends of years. But if it would last such a long time, would we have to care? With such a long time in comparison with a human life, such a climate change would be completely irrelevant. There would be simply no costs of adaptation. Of course, people would adapt, but this would happen automatically, by the way. People migrate anyway, build new homes in other towns or countries, rebuild old buildings, replace old infrastructure by something new, modern, and all this usual modernization would contain some element of adaption to the new climate too. What will lead to high costs of adjustmen? What, instead, would be problematic, and lead to high adaption costs? This depends on the particular type of a negative outcome of warming we would have to meet. There will be always some time scale where the climate change is harmless. On the other hand, the new climate starting abruptly tomorrow would lead to high adaptation costs. Somewhere between there is a time scale where adaptation to the new climate leads to some additional costs. But for different effects, there will be different critical times. Say, one adaptation to a new climate would be to switch the crops raised in a given region. The main thing which has to be done here is to buy and sow something different. This can be done once every year, may be even twice. So, for this particular adaptation we do not need more than a year. Of course, if this happens on a large scale, there has to be some more other infrastructure, for the appropriate use of the new crops. But this does not need much time in a modern industrial society too. Say, it would be better to move a fabric which uses some crops to a new place near those areas where the crops will be grown. One would have to rent some place in some industrial park and move the machines to the new location. This could be done in a year too. While the question with the hardware can be solved in a very short time, some problems related with the human factor may need more time. Not all the workers of the old fabric will move together with the factory, New workers have to learn the new jobs. The same holds for the peasants. They have to work now with different crops, and to learn how to do it. Despite this, in a modern industrial society the job fluctuations are large, and many people have to change their jobs and to learn something new for many other reasons too. How many workers in industry or agriculture do the same thing more than twenty years? Even if we ignore this -- thirty years will be certainly sufficient to adapt, given that in this case all what one would have to do is to give a modified job training to the next generation of workers. But various modifications and adaptions of the job training are anyway necessary given the technological progress. So we can conclude that adjustments of the agriculture to new crops will not lead to adjustment costs if a relevant climate change, which makes such an adjustment necessary, needs more than thirty years. Even in the case of a much faster climate change, with an essential change in one year, the necessary adjustment costs would be affordable. Let's assume that there would be such an increase. This would be mainly a problem of the poor in the Third World, given that standard middle class buildings are strong enough to withstand tornados. Given that tornados happen today too, and cause a lot of harm among the poor, to build stable houses for the poor is a problem to be solved anyway, independent of any climate change. The necessary technology for building houses strong enough to withstand tornados -- ferro-concrete construction -- is well-known, affordable even to quite poor people, and already widely used in the Third World too. Thus, increase in the numbers and severity of tornados in itself does not lead to any additional adjustment costs -- all what would better be done would be useful to do even without any such climate change. If the sea level raises, there may appear costs of adaptation. Some land may be left to the sea. Alternatively, dams have to be newly build or increased in their height and thickness. Possibly, sand has to be put on beaches or earth on agricultural areas near the sea to compensate for a raising sea level. Would this be possible, or even reasonable? 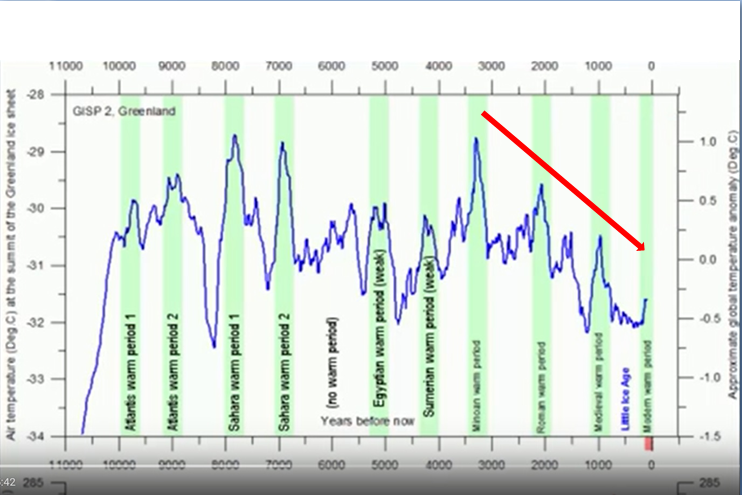 The answer is quite obvious, if the raise of the sea level remains on its actual speed of a few mm per year. For a few mm per year, all one has to do would be to improve what exists now, and this is something which would be done anyway. If there is a serious climate change, it could be reasonable, possibly even necessary, for some people to migrate from places which become less comfortable for living to those which become more comfortable. But let's note that for the majority of people, those living in urban areas, there is no such necessity. Indeed, they usually live and work not in the street, but in buildings, and the climate inside such buildings may be quite different from the climate outside. The same holds for those working in cars. Modern cars have, last but not least, air condition. So, it is essentially only rural population, working in agriculture, which would possibly have to migrate, if, because of the climate change, the area becomes unusable for agriculture. Given that we consider here a climate change toward a more optimal temperature, this will not be a large scale problem. Of course, even if in the average the conditions for agriculture become better, there will be some exceptions where they become worse, and possibly even so bad that agriculture is no longer possible. But the rural population working for agriculture is, in a modern industrial society, quite small, less than 5% of the population. Thus, migration because agriculture is no longer possible will be a minority problem. Even in poor countries, where we have yet a large number of people working for subsistence in agriculture, the rural population is decreasing too. So, a large part of the migration will be the one which is common today too, namely rural people moving into urban areas of the same country. If we ignore the problems of slums in the Third World, which would better be solved anyway, independent of any climate change, the town gives the former rural people all what is necessary: Jobs not related to agriculture, housing, and food, and all this independent of any climate change. It follows that the species actually living on Earth are already adapted to much heavier and much more abrupt climate changes.